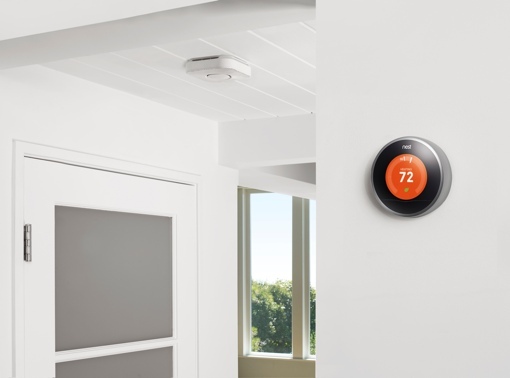 industry names, including smart thermostat manufacturer Nest. There’s no shortage of connected home devices in the marketplace. You can connect and control virtually any type of appliance with your smartphone, from smart lightbulbs to smart thermostats to smart ovens. Getting all these devices to talk to each other is a different story, however. The smart home industry lacks a consensus networking standard, with different manufacturers preferring their own framework over others. That may be about to change, however. Google Nest, Samsung and British semiconductor firm ARM have all teamed up to create a low-power connected home network called Thread. Over 300 companies recently attended a Google open house for the technology, which just officially entered its first beta testing phase. Thread is not a new connected home standard. Instead, it’s an evolution of existing standards that adds new functions such as routing, setup, sleep scheduling and security. Security is especially important for connected home devices – hackers have already compromised smart refrigerators and TVs to send spam. And more recently, the Shellshock “Bash” bug was discovered to affect many connected home devices running a variant of the Linux operating system. Thread is expected to go head-to-head with the Bluetooth Smart standard, which enjoys a strong position thanks to the technology being built into virtually all smartphones. But Bluetooth Smart doesn’t offer mesh networking, which allows smart home devices to talk to each other directly rather than requiring routing through a phone or other hub. Thread also holds a significant range advantage over Bluetooth – an important fact for larger homes. The Thread standard will be promoted by the Thread Group, which envisions itself as something of a market education organization. Companies would submit their devices to the Thread Group for certification and testing. The model is similar to that of the successful Wi-Fi Alliance, the non-profit that ensures different Wi-Fi devices will work with each other regardless of manufacturer.